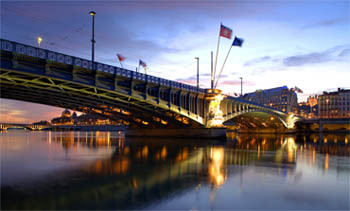 Lyon reveals its architecture through its districts, several of which are included in the UNESCO list of World Heritage sites. The Lyon site encompasses in particular the Vieux Lyon (Old Lyon) and Presqu'île (Peninsula) historic districts, as well as Fourvière and Croix Rousse hills. Lyon was founded in 43 BC and was the first capital of the Gauls. 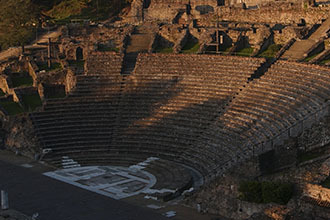 The city has preserved many archaeological relics. Today the Vieux Lyon is the largest, most homogenous Renaissance site in France. There are also typical courtyards, wells and shops, the magnificent Saint-Jean Cathedral, as well as the 'traboules', which are famous corridors that cross one or more buildings to connect streets to each other, letting people move from house to house. The reputation of Lyon for fine cuisine was established centuries ago. Today it is maintained by several hundred Chefs. The Lyon region contains the greatest number of ‘starred’ Chefs. Several of the France's finest vineyards, including Beaujolais and Burgundy in the north and Côtes du Rhône in the south, begin at the gates of Lyon.